How do you Achieve Goals? 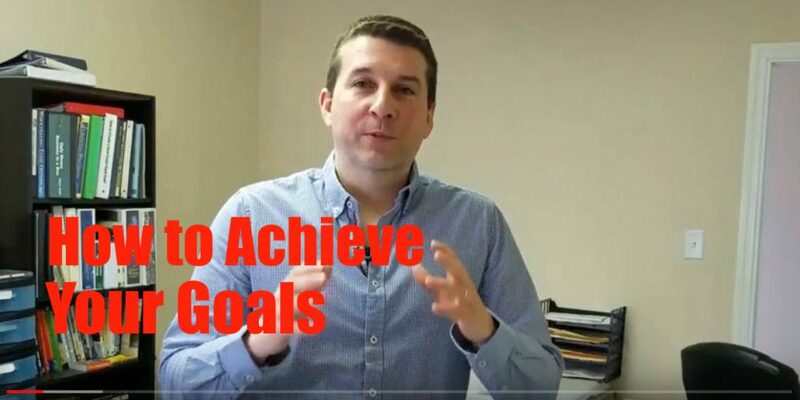 Do You Achieve Goals? In today’s episode I share with you 3 Tips that have helped me achieve my goals in the Past and also talk about my Pickle Challenge…Challenge #4. I recently completed Challenges #2 and #3. One was to follow MyFitnessPal and the Other was to exercise for 30 days straight for at least 30 minutes. I succeeded at 1 and failed at the other, miserably! So, now, I’m back with a vengeance. I’m going to be kicking off Challenge #4 – MFP for 30 Days or I’ll eat a Pickle! Tony Robbins says it best. We generally make our decisions out of a desire to create pleasure or a desire to avoid pain. Oftentimes, the desire to avoid pain wins the day, but sometimes…it’s pleasure. For me, the thought of eating a pickle sort of makes me want to puke. I really don’t want to eat a pickle. So, I’m going to make myself track every calorie I consume for 30 days and if I violate MFP…then I’m going to eat a pickle right here on this blog for you guys. It’s why I join a triathlon group every year. It’s originally why I started my real estate investing mastermind group 3 years ago. Iron sharpens Iron…and so does one man to another. When we put ourselves out there and request accountability, we’ll get it. When we share our dreams and goals with others….they’ll help you achieve them. Slow and steady wins the race. Make sure you are constantly reviewing your goals to make sure you are on track with what you wanted to achieve. Guys, If you are a real estate investor and you would like help achieving your goals, please check out my real estate investor mastermind group….it might be able to help you.